Snap Frames : This 24" x 36" snap open poster frame coordinates with our Forte or Brava banner poles! Standard 24" x 36" size allows a user to easily change graphics often. Well-built aluminum frames stand up to everyday use. Coordinates with other BRAVA and Forte accessories for multiple display options. This Poster frame is one of the main components in our BRAVA and Forte display accessories lines. 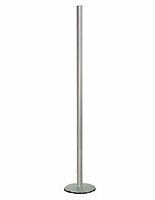 The poster frame, or snap frame, slides onto a banner pole with two tracks on either side. 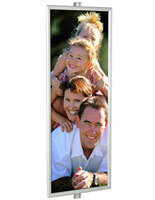 Attach a poster frame to both sides of the pole for a great double-sided display! 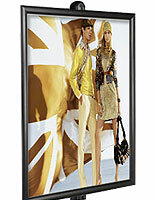 The poster frame, also known as a metal frame, has the popular snap-open design. Simply snap open the poster frame's four edges, load your advertising poster and then snap them closed again. 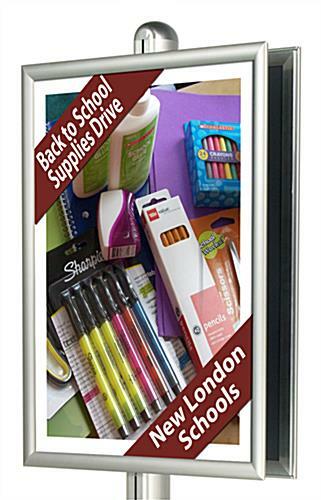 This poster frame, like a snap frame or metal frame, is perfect for frequently changing retail displays. 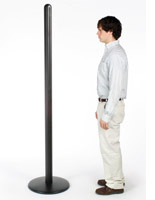 A poster frame is just one example of the numerous display accessories offered in both of our floor-standing lines. The many coordinating accessories available make this display system the best choice for your tradeshow display, showroom, or retail sales floor. 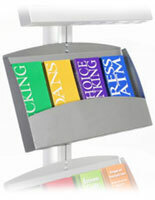 Buy a poster frame with literature pockets or other display accessories for a complete display system. The accessory configurations are practically endless! 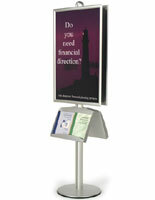 A display system product, such as these poster frames, looks great and is easy to use.